GAZA CITY: Israel struck a Hamas site in the Gaza Strip late Tuesday after a day of border unrest that left a Palestinian militant dead and an Israeli soldier wounded, while also further delaying an aid transfer. 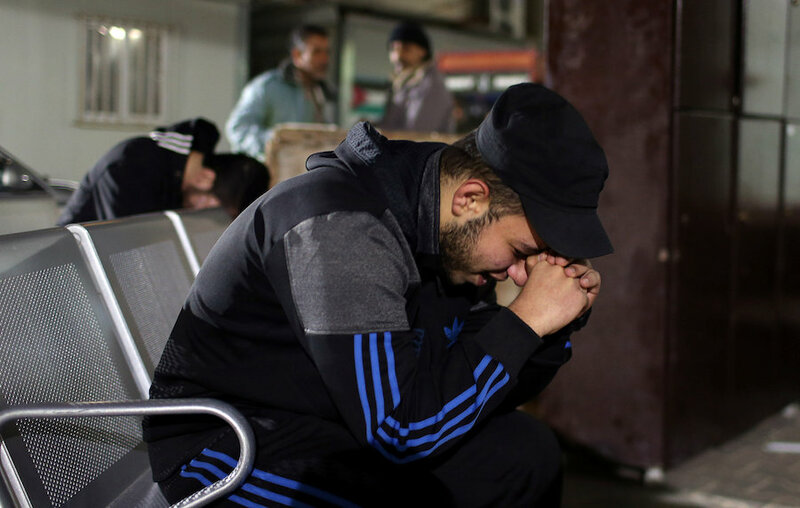 The incidents signalled a rise in tensions after weeks of relative calm thanks to an informal truce between Israel and Islamist movement Hamas, which runs the Gaza Strip. An Israeli official said a transfer of cash from Qatar to Gaza via Israel as part of the truce would not occur on Wednesday because of the violence. In the first exchange of fire, an Israeli tank hit two Hamas observation points in the northern Gaza Strip after shots were fired at its soldiers near the border fence, Israeli and Hamas officials said. No one was injured. Later in the day, Israeli tank shelling killed a Hamas militant along the border in central Gaza as Israel responded to gunfire that wounded one of its soldiers, officials said. Mohammed al-Nabaheen, 24, was killed by tank fire while four other people were hurt, a Gaza health ministry spokesman said. Hamas confirmed he was a member of its armed wing, the Ezzedine al-Qassam Brigades. The Israeli army said a soldier was lightly wounded when a bullet struck his helmet, prompting its response. In a statement, it said an initial investigation found “an assailant fired at troops” during a riot that included rock-hurling. A picture published by the army on social media showed the soldier’s damaged helmet. Later Tuesday, Israeli warplanes carried out a strike on a Hamas military camp in the northern Gaza Strip, the army said. There were no reports of injuries. 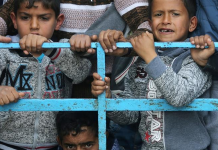 There had been warnings of another escalation in recent days since Israel, citing border unrest, is holding up the latest cash transfer from Qatar to Gaza under the agreement. The payments are controversial in Israel, where they have sparked opposition from right-wing activists and politicians. 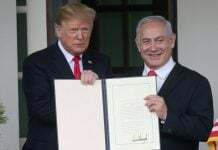 Prime Minister Benjamin Netanyahu is campaigning for re-election in April 9 polls, and widely shared images of suitcases of cash being sent into Gaza through Israel have generated criticism of the truce. Qatar’s ambassador to Gaza said Monday that the US$15 million in cash to pay salaries of Hamas civil servants in the enclave was expected to be delivered this week, possibly Wednesday. But after the latest violence, an Israeli official said on condition of anonymity that Netanyahu had decided not to allow the transfer on Wednesday. The payment would be the third of six planned tranches, totalling US$90 million, in connection with the truce. Israel has also allowed deliveries of Qatari-financed fuel to the blockaded enclave to help ease a severe electricity shortage. Mass protests and clashes erupted on the Gaza-Israel border in March last year. The weekly protests have been calling for Palestinian refugees in Gaza to be able to return to their former homes now inside Israel. At least 244 Palestinians have been killed by Israeli fire since March, the majority during protests and clashes. Others have died in airstrikes or shelling.